Based on the short story The Fir Tree from Tove Jansson’s novel Tales from Moominvalley, this lovely picture book will tell how the Moomins wake up from their winter sleep to find themselves fascinated, but also a little bit scared, by everyone’s hysterical preparations for the arrival of Christmas, whoever or whatever that might be! Apparently, ”Christmas” demands trees to be dressed, presents to be wrapped and lots of food to be cooked. 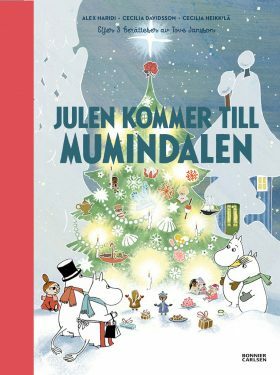 The Moomin family makes all the necessary preparations but decides to go to sleep again, leaving their friends to celebrate the most amazing Christmas everyone could ever have imagined.